Brandt Auto Brokers in Marietta Georgia offers a complete inventory of quality used cars. 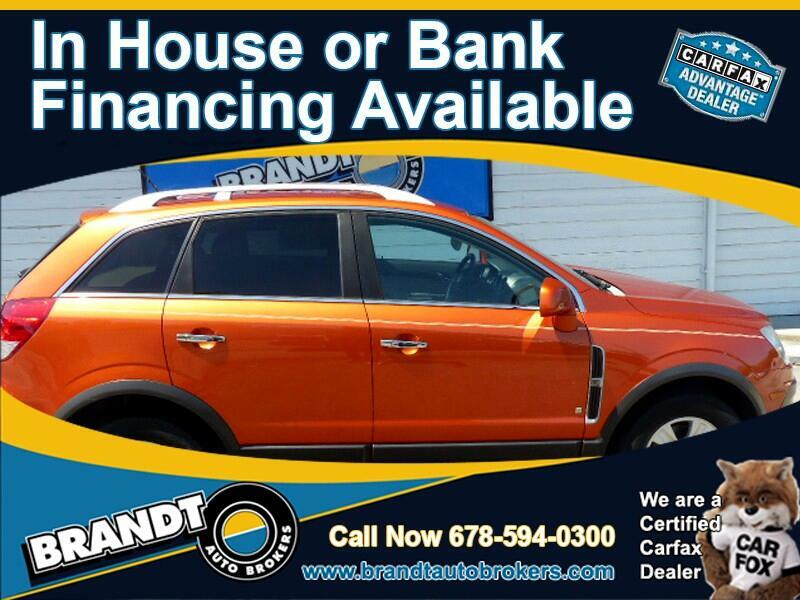 20 miles north of Atlanta, Brandt Auto Brokers can arrange financing for all types of credit through some of the largest lenders such as JP Morgan Chase and Wells Fargo. Brandt Auto Brokers offers extended warranties and GAP coverage to protect your vehicle for years to come. Call our internet sales department at (678) 594-0300 Ext #1 or (888) 514-9291 Ext #1. Brandt Auto Brokers is a real dealership. DO NOT purchase a vehicle from anyone who claims to be a dealer but works from a cell phone. Message: Thought you might be interested in this 2008 Saturn VUE.